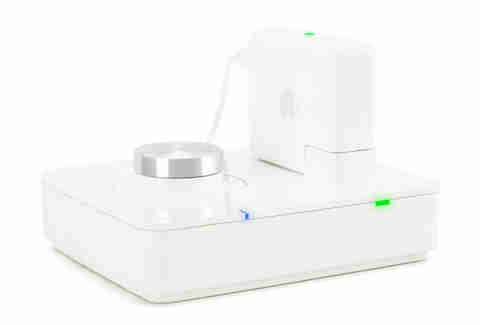 This sleek-looking iDevice allows you to stream audio from iTunes and AirPlay-enabled apps to an existing set of speakers using your Airport Express and AirPlay. 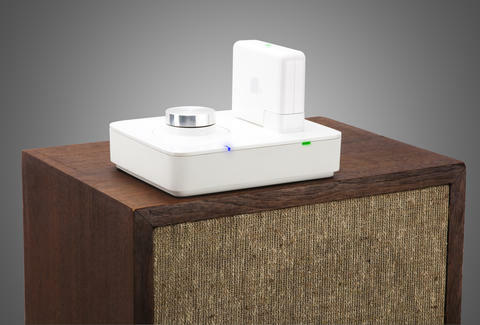 Twenty takes the digital output of your Airport Express, amplifies the audio, and then sends the sound through your speakers, bringing your old analog speakers with you into the digital age. 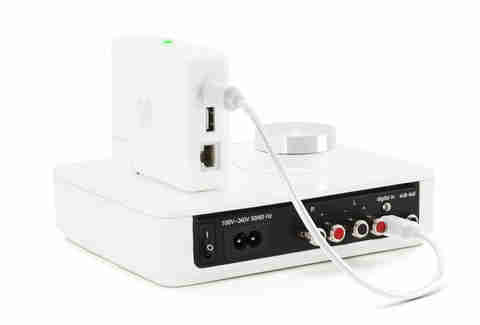 You can even use the included fiber optic cable to connect to Airport Express' optical output to the Twenty, which also ensures the best possible audio quality. 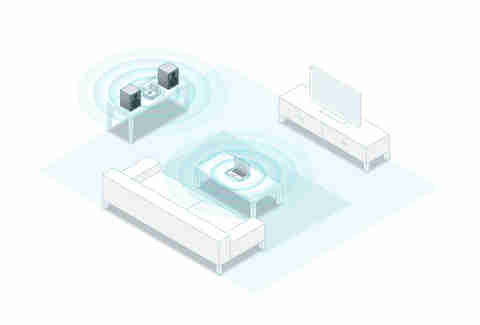 Usually when you add a new piece of gear to your stereo system, it means spending time detangling cables and cursing as you stumble in the dark looking for a new power outlet. 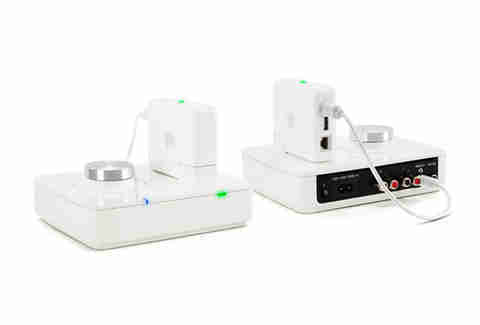 Twenty simplifies cable clutter around your speakers with its integrated power outlet for your Airport Express, enabling you to live like a rock star without having to trash your own living room.